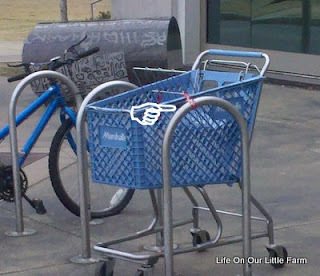 While leaving the library on a recent trip, I was somewhat surprised by what I saw at the bike rack. Doesn't everyone bring their shopping cart to the library? Think how many books you could carry in that thing! I particularly enjoyed the way they "chained" it to the rack.